“I have experienced tremendous benefits from Psiometric Science’s cutting-edge technology for over 25 years. I love working with The Portacle. It’s an exciting, groundbreaking inter-active meditation therapy designed to improve self-awareness, cognition, and learning. 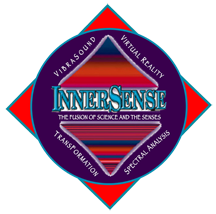 It offers a whole new paradigm in integrative quantum biofeedback that works great with individuals and groups.” — Catherine Oxenberg van Dien – Actress, activist, ambassador for conscious evolution and universal emissary. “The Portacle is a unique tool that allows you to see “under the hood” into your deepest being, and create the changes you desire. You will discover the self you were meant to be, able to attract the life you desire. You’ll feel inspired, and on purpose– and relaxed at the same time. Unbeatable combination!” — Hyla Cass, MD — Psychiatrist, educator, lecturer, and author of 8 Weeks to Vibrant Health and Natural Highs (www.cassmd.com). “The Portacle goes beyond the depth of homeopathy to the most fundamental level of reality, where intention creates everything. Observing oneself at that level allows one to learn that they are co-creating their own reality and can therefore effect true and lasting change. It’s the most powerful tool I have for reducing stress in my clients and I highly recommend to them for relaxation, meditation and personal development.” — Michael Galitzer, MD – Director of the American Health Institute, Los Angeles, CA. (www.ahealth.com). “Personally, I don’t know beans about computers or machines, but I’ve always had an uncanny ability to know what are the most important things going on and right now, The Portacle™ is at the top of the list. It represents the essence and practical use of the concepts and teachings of our Noetic Society. Everyone at our different groups who have tried this have said the same thing…we are all mind-blown.” -— Dr. Tahdi Blackstone PhD., Director of the Los Angeles Chapter of IONS. “The Portacle is a superior method of non-intrusive access to the sub and super-conscious mind.” — Darby Long Ph.D., Wellness therapist in private practice, Santa Fe, New Mexico. “The Portacle is perfect for anyone seeking change in accordance with will. The inspiration and stress release provided can dramatically enhance focus and balance and assist in modifying or replacing habits.” — Prudence Hall, MD, Founding Director of The Hall Center in Venice, CA. “I wish I lived in Los Angeles so that I could go to Don Estes’ office and experience the VibraSound® and The Portacle at least once a month. For me it was a portal that opened me up to more of myself; like a lucid dream, but I was wide-awake. Afterwards, I felt more alive, alert and clear headed. Whereas this experience was based on a single intention, the Portacle has now brought it into real time and I am enjoying it from the comfort of my own home. They do an excellent job of training and education about it as well.” — Nelson Barry III Esq., Attorney at Law and Director of the San Francisco chapter of IONS. “The Portacle Biofeedback software system is hard to explain, yet simple to use. It yields powerful results and is extremely complex under the hood, however in a short time anyone can be up and running using it. Initial feedback from users of the Portacle ranges from fascination to awe. As a tool to enhance inner exploration or as a hack into the unconscious mind The Portacle™ offers users a unique tool to aid in personal development and application of the law of attraction.” –– Christopher Oliver, Mind machine session designer, author, inventor of AV3X brainwave entrainment technology, and owner of Mind Machines.com, a leader in conscious technology development and distribution. “When I use the Portacle while chanting there is a real depth that the tones travel to within my physical and energetic body. It is important to just let go and chant as well as to observe at times the receptive elements taking place. The sense of time in our linear sense quickly dissolves as the same as a deep meditation (which you know can take many years for one to accomplish thru highly disciplined spiritual and meditative practices). I sometime take an active approach and focus on a gland or organ and just breath into it and feel the release of energetic blockages. I feel a balancing of my left and right brain while just breathing —- mind chatter dissolves sooner than would normally happen. There is a definite restructuring that takes place as I finish a session and feel very centered. I find by using tones there is such new space that opens up and feels like entering into a new dimension. I found physical parts of my body becoming pure light as they really are.” — Doug Ayers, owner of Ayer’s Hotels, entrepreneur, seeker and adventurer. “I have been associated with mind technology for more than 30 years including biofeedback, entrainment, sound & light devices, and other forms of technology that enhance human consciousness and help promote healing. My experience with The Portacle was profound. In one 45-minute session I noticed a significant shift in my way of being. My mother recently passed and I’ve held a longing and grieving since her leaving. Regardless of how I’ve attempted to deal with this sadness it has persisted. About ten minutes into the session I felt my mother’s presence and realized that both she and I were perfectly fine, and immediately the sense of grief lifted away. It was such a wonderful experience! After the session ended I felt a quite, centered, grounded and at peace, a feeling I hadn’t experienced in a long time. Even though I have spent years as a mediator and practicing yoga, life had stressed me out. As the weeks have passed I have noticed that my ability to deal with stressful situations has improved and feel a profound shift in left-right brain synchronization. I have become more relaxed and reflective as to what kind of impact I want to make in the world with my life’s work. This in itself has brought me to a renewed place of commitment to my life’s calling. In addition, the most amazing thing happened…I suddenly realized where I had gotten off track with my daughter when she was a small child of age 3, and understood how to renew our connection, which we have now done. I was able to let go of a deep disruptive energy within myself that had been stored there for years that had kept my daughter and I at odds with one another when what we really have is this great love for each other. Once I let go and was able to see her for who and where she is, she was able to let go too…pure osmosis happened! I have spent a lot of money over the years in therapy trying to heal this relationship with my daughter. All I can say is thank you Psiometrics for your wiliness to go the distance with your innovation and research…you truly have something that can help heal the world!”— Darla Boone, Executive Producer, Eve’s Rib Productions…PBS Television.